Which room will you choose in which to realize your garden fantasy? This time of year thinking of growing fresh flowers usually has to wait till after the harsh weather has passed. Outside is just to cold, frozen and unforgiving when it comes to potted plants and flowers. 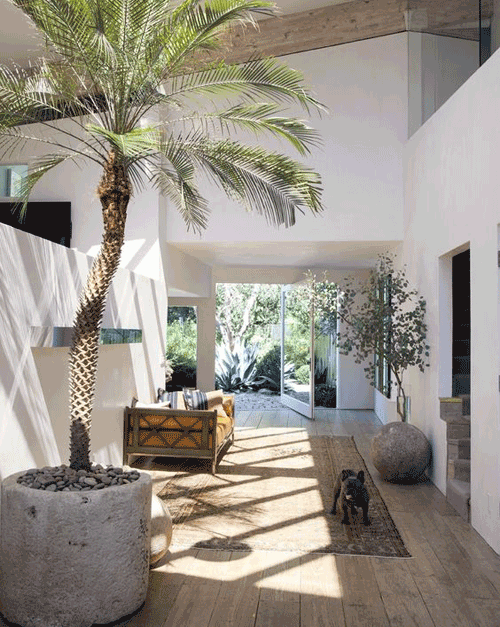 How about taking a room indoors and making it into a dreamy garden? The most natural choice would be a sun room or enclosed porch but any room that receives a healthy dose of light can work just as well. Try to think out of the box! How about a breakfast nook, a kitchen with a south facing window, a living room with large french doors or a small area off a bedroom where the sun hits just right. All of these will work great and even create a unique indoor garden area. 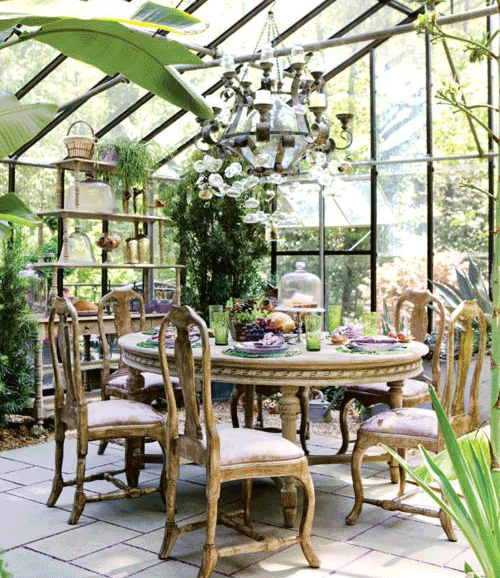 Take a table and fill it with potted plants & flowers. Purchase a wire rack that you can place in front of a large window and stack the potted plants on it. Use the side of your desk, a table next to the bed or a plant stand in the bathroom. You can place accessories in this area to really add to the charm. How about a tabletop fountain for the sound of soothing water flow. Place a small buddha statue under a large green potted palm for a serene look. 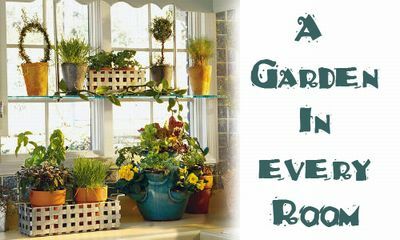 Use birdhouse's indoors and place among the potted plants and flowers. Pull up a big over stuffed chair with floral cushions to nap in. Take a rocker and drape a cozy blanket over it for snuggling in. Place photos of loved ones around you, paint a wall with a floral print or hang a candle chandelier that will add mood lighting. It doesn't have to cost a lot of money and you don't need to fill it to the brim with pots. 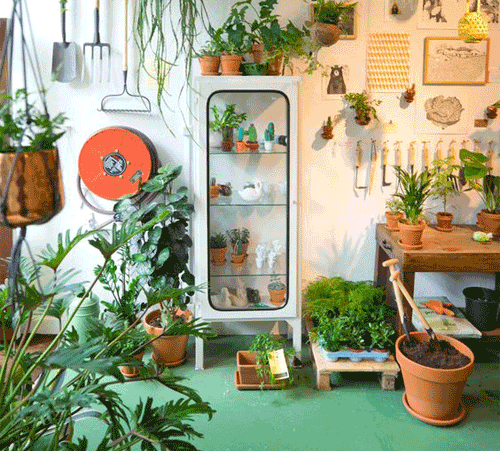 Just don't dream of Spring, create your own indoor garden and enjoy the things you love all year round! 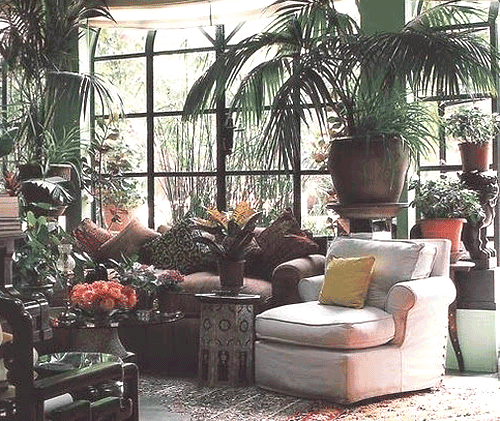 Read more.....Houseplants tips & tricks. Read more.....Keep cut flowers fresh.